What Happened on this Costa Cruise Ship? 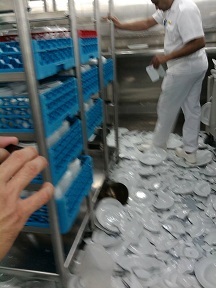 A reader of Cruise Law News sent me a link to this Costa crew member’s Facebook page which contains video and photographs of hundreds of broken dishes in the ship’s galley. It appears that the cruise ship experienced some type of incident affecting the ship’s navigational system; I’m not sure of the details.